Working at a project agency is like a box of chocolates,…well, you know the rest…and my apologies for using such a generic analogy. But at ON Broadcast, every day is campaign day, regardless of whether it’s a drug launch, charity appeal or just raising brand awareness. The only constant factor is our preparation. It’s advice, journalistic writing, stats and targets – then our media relations team get the ball rolling. But what differs between success and failure is often only explained by a story’s simplicity. Can you say it in sentence? A prime example is Cats Protection; the feline charity produce straightforward and relevant content that everyone can relate to. 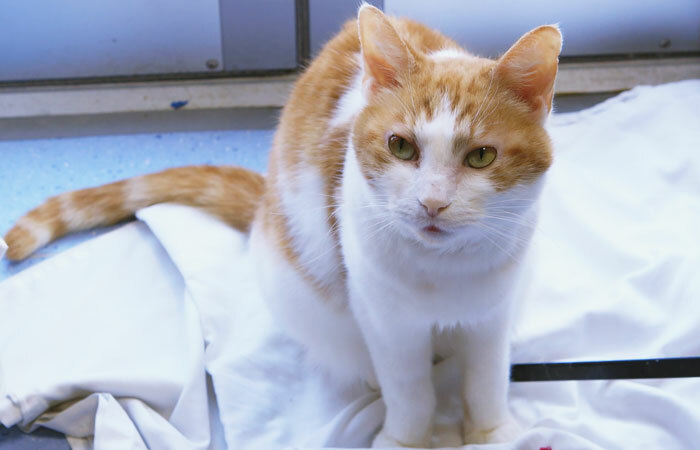 For instance, earlier this year Cats Protection launched a campaign aiming to strengthen our understanding of cats’ behaviour, in order to promote responsible pet ownership and strengthen the bond between human and feline. Ultimately, they wanted to see if Brits could decipher whether or not their pets were upset, happy or importantly, in any kind of pain. Or, ‘simply’, in one sentence, how well do you understand your cat? This campaign instantly struck a chord with me. As a (very young) kid, I innocently put my cat in the fridge so it can have some milk (I know, the cruelty). Of course, looking back it didn’t take a survey to realise my mistake, however, it’s strange to think that despite being a pet loving nation –we don’t all know our pets’ behaviours? Just for the record, Batman (cat, not superhero) was fine and was eventually released from his cold captivity. With Batman in mind, we set off on the campaign trail. We created eight videos of cats that were shown to owners for them to guess what the animals’ behaviours were indicating. Unsurprisingly, the results proved what I had feared – Brits don’t understand their cats behaviour; from what rolling on their backs to having their tail in the air means. So we wrote journalistically-led copy, created editorial video and extracted regional stats, in order launch our campaign – ‘Learn the Language of Cats’. Well, we knew our campaign had legs (four to be precise) but the results remarkable. The video was covered by ITV Online, Yahoo! News and the Mail Online (amongst nearly 100 others), with over 200,000 people viewing the video on YouTube within the first day. Twenty radio stations ran interviews, including Kerrang! Radio, Capital FM and a range of BBCs. From previous ownership of Batman, I learned that all cats land on their feet…but I think we landed on our feet with this campaign… as BBC Breakfast saw the video trending online and requested a sofa interview the very next day. It doesn’t end there, our video has now been seen by over 700,000 people…that’s 7 Wembley stadiums, 8 x the population of the Isle of Mann and importantly, ‘simply’ amazing! The concept, campaign and strategy was simple. There were no underlining issues or multiple messages at the centre. We created a survey, produced the videos and asked the broadcasters the question: how well do you understand your cat? The answer was ‘simple’. In loving memory of Batman.